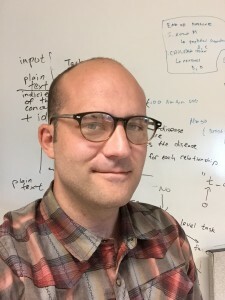 Tim Putman obtained his PhD in Molecular and Cellular Biology in microbial genomics from Oregon State University in June of 2015 and joined the Su Lab as a research associate in August of the same year. His project involved modeling and linking microbial data in Wikidata. He left the lab in July, 2017 and is now a Research Assistant Professor and Bioinformatics Software Developer at Oregon Health and Science University.